I now have two more attractive and interesting books from the series! These two have much in common with “Witches and Wizards”. Both are in the compact hardcover format that I loved with the previous book. Both have beautiful cover art and nice black and white illustrations throughout them. And both are big picture, general overviews, of subjects that could have books devoted to just one entry. 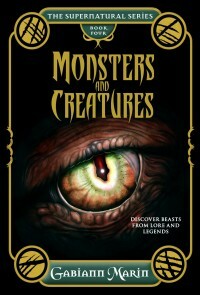 First up we have “Monsters and Creatures: Discover Beasts from Lore and Legends” by Gabiann Marin. This sucker discusses just about any creature you can think of! You’ll find well known creatures, like dragons, mermaids, werewolves, and centaurs. Marin also has loaded “Monsters and Creatures” with tons of lesser known creatures, such as kappas, pookas, kinnaris, and drop bears. (I would tell you about them, but shouldn’t you just buy the book?) At 196 pages it doesn’t go in depth with any of them, but “Monsters and Creatures” offers a great starting point. 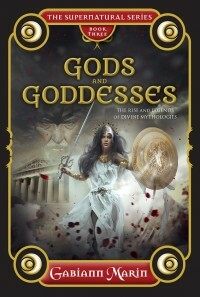 The other book, “Gods and Goddesses: The Rise of Divine Mythologies”, also by Gabiann Marin, follows a similar format. Marin discusses deities with origins in Greece, Egypt, China, Rome, and more. However, she doesn’t just discuss deities of the past, but their existence in modern times. Again, it doesn’t go into great detail, but it’s a fabulous starting point. If you’re looking to learn more about these books, visit here.